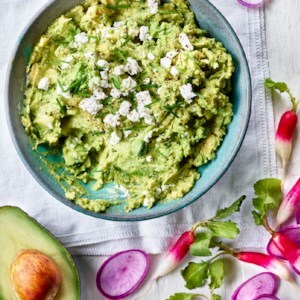 Find healthy, delicious avocado recipes, from the food and nutrition experts at EatingWell. 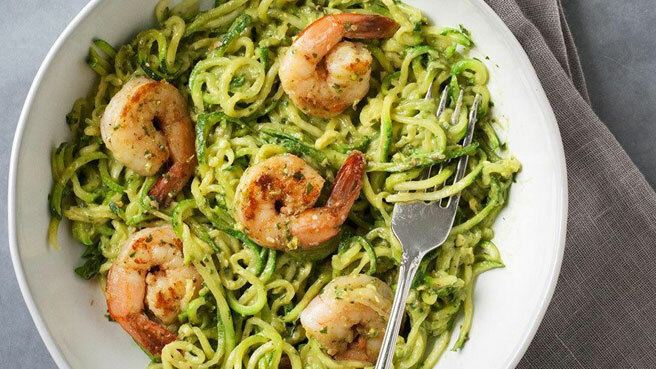 Avocado makes the pesto sauce in this healthy zoodle recipe extra creamy. Topped with zesty shrimp this easy dinner recipe comes together in a flash. 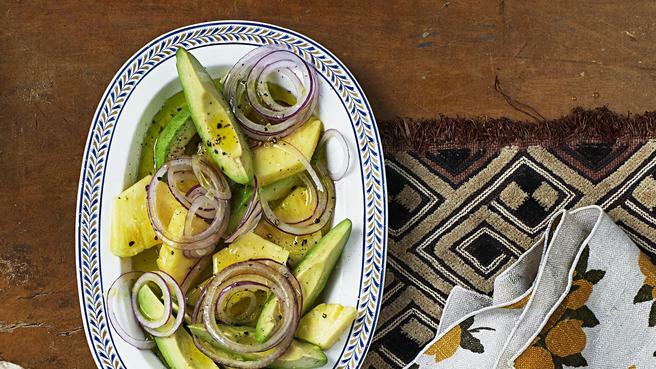 Avocados, how we love you! Avocados are loaded with healthy monounsaturated fat, nutrients and antioxidants. They also deliver fiber and potassium, which most of us don’t get enough of. But the best thing about avocados? They just taste so goodand they’re so versatile. Add them to a smoothie or a salad, stuff them, mix up some guacamole, top your toast. 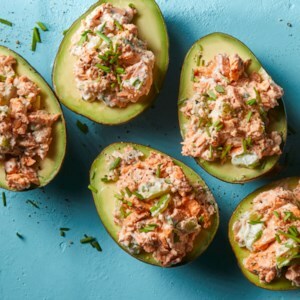 Try these easy avocado recipes for a quick snack, breakfast, lunch and more. Forget the breadthese healthy stuffed avocado recipes are so good you won’t miss it. 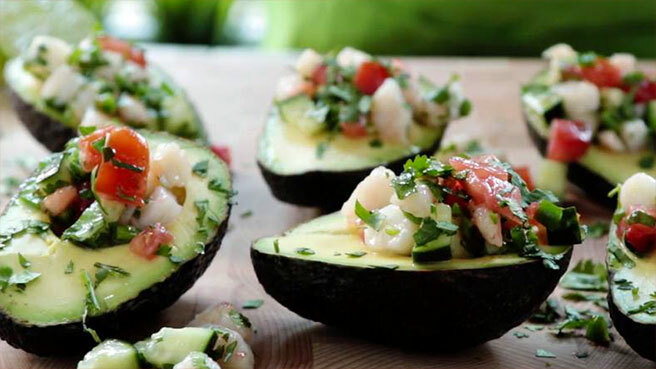 Instead of mashing or slicing the avocado on top of toast we stuff it with seafood or smother it with cheese. Plus, these recipes are all a low-carb way to get your avocado fix. Enjoy! 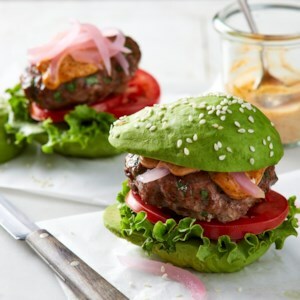 Instead of being served on traditional buns, these turkey sliders are sandwiched inside mini avocados for a clever (and low-carb) meal--because why put avocado on your burger when you can put your burger on an avocado? Quick pickled onions are a pretty and tasty topping, and chipotle mayo seals the deal. Bonus: The burgers are cooked on a baking sheet, so it's easy to whip up a whole batch. 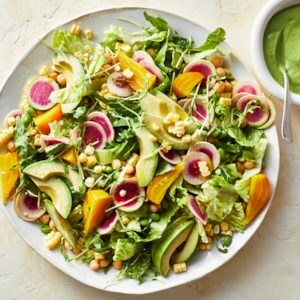 This gorgeous and healthy summer vegetable salad is loaded with pretty produce, including golden beets, avocado, corn, microgreens and radishes. Chickpeas and edamame add substance, and an herb-filled buttermilk-avocado dressing makes this salad really special. Serve it on its own for a light vegetarian meal or add grilled chicken for an easy weeknight dinner. 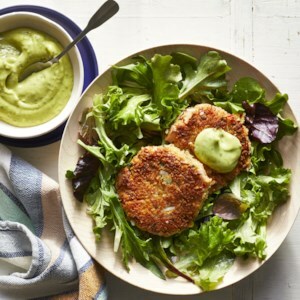 These vegetarian "crab" cakes are made with jackfruit, a tropical fruit with a chewy, meatlike texture. Jackfruit has a mild, slightly sweet flavor like crabmeat. All that's needed to make these a full meal is a flavorful dipping sauce and a lightly dressed side of greens. Crunchy oven-fried cauliflower is a satisfying swap for the meat or fried seafood that typically packs this New Orleans favorite. 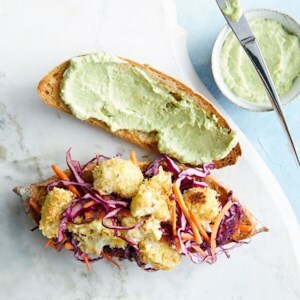 Creamy avocado mayo and crisp cabbage slaw provide additional layers of flavor and texture. In this healthy grilled chicken recipe, ancho chile powder adds a rich, mild flavor to lean chicken breasts. If you can't find ancho chile powder, feel free to use mild chili powder in its place. A vibrant salsa with avocado and grilled apricots, nectarines and/or peaches completes the pretty picture. Grilling not-quite-ripe stone fruit is a mouth­watering way to bring out its natural flavor and sweetness--plus, the fruit is grilled right alongside the chicken, making for a quick recipe. 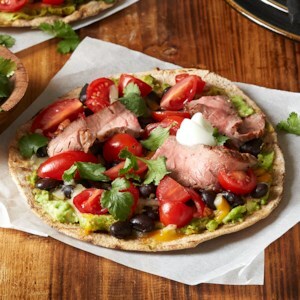 Flank steak, black beans, and cilantro bring a Southwestern flair to these individual pizzas. Canned salmon is a valuable pantry staple and a practical way to include heart-healthy omega-3-rich fish in your diet. Here, we combine it with avocados in an easy no-cook meal. 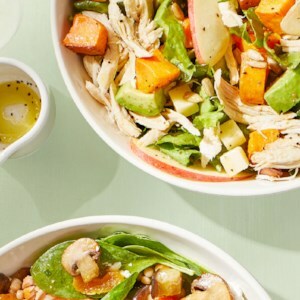 This easy salad recipe allows for a wonderful use of leftover cooked chicken. Look for escarole in the produce section near the leafy greens; if you can't find it, you can use romaine instead. This easy salad recipe makes a stunning side dish for anything you've got cooking for dinner. 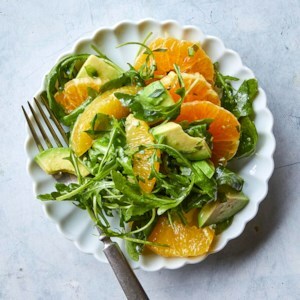 The bright flavor of the citrus pairs perfectly with peppery arugula and avocado, plus a bit of jalapeño for a slight kick. Try this satisfying salad recipe for an updated version of the classic Cobb. 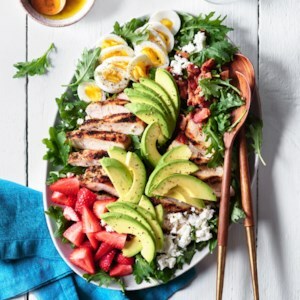 Kale, feta and strawberries give this chicken salad a colorful upgrade. 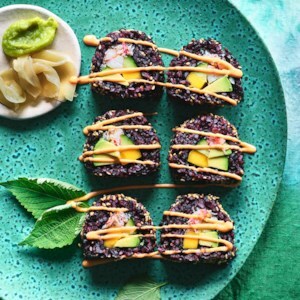 Consider the fillings in this vegan summer roll recipe as a starting point--papaya, snap peas and shrimp are all good alternatives. 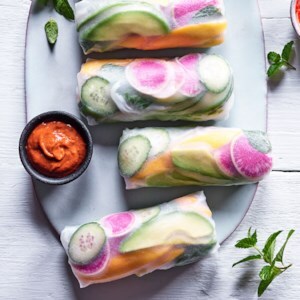 The first thing you layer on the rice paper will be what shows through on the finished roll, so vary what you start with for stunning, Instagram-worthy results. Skip the takeout and try this easy sushi recipe at home. A twist on the classic California roll, these are as much fun to make as they are to eat. Rolling with the rice on the outside takes a little extra dexterity but the eye-catching sushi-bar results make it worth it. 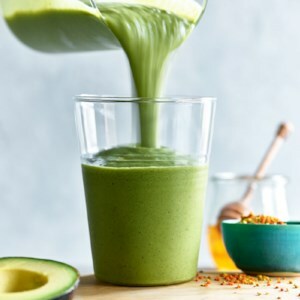 The combination of kale and avocado makes this healthy smoothie recipe extra green. Chia seeds lend this creamy smoothie a heart-healthy punch of fiber and omega-3 fatty acids. 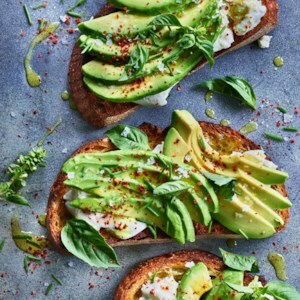 Burrata (cream-filled fresh mozzarella cheese) takes this avocado toast recipe to the next level for a decadent, yet weekday-friendly breakfast. In this easy guacamole recipe, we mix in a little creamy goat cheese for a tangy version of a classic favorite. Serve it with tortilla chips and crunchy vegetables like kohlrabi and carrots. Make an easy snack inspired by your favorite healthy breakfast--avocado toast! 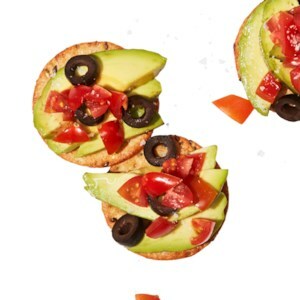 We make it snack-time friendly by adding the avocado to crackers instead of toast for a no-cook satisfying treat that takes just 5 minutes to whip together when hunger strikes. 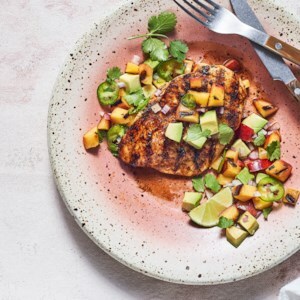 This Cuban-inspired fish-and-tomato salsa medley makes a healthy, summer-fresh diabetic meal any time of year. 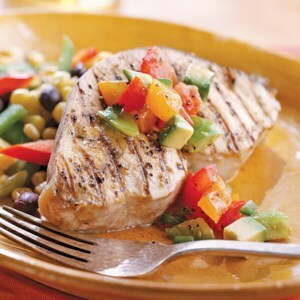 The swordfish steaks are full of lime and cumin flavor and make the perfect partner for a zesty tomato, tomatillo, and avocado salsa. 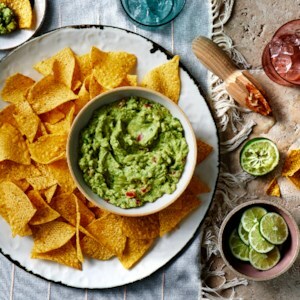 Margarita lovers will go crazy for this twist on classic guacamole. Spiking your guacamole with tequila adds an extra layer of flavor and blends deliciously with the fresh lime juice and jalapeño. This guacamole is for grown-ups only, but you can omit the tequila if you're serving to kids. 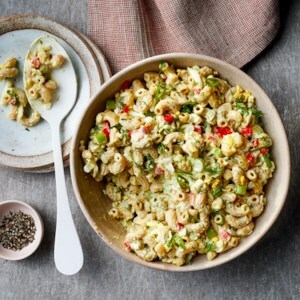 This pasta salad looks like the classic picnic side, but in one bite you'll know it's special. It holds all the incredible flavors of deviled eggs and is creamy too, thanks to mashed avocado and hard-boiled eggs. For the best texture, don't make this more than a few hours before you plan to eat it. We've taken the classic deli combo of bagels and lox and replaced the salmon with a colorful mix of vegetables and avocado in this makeover bagel sandwich that appeals to vegetarians.